Tregothnan’s famous Earl Grey tea is one of their signature blends, using only the best bergamot oil – pure and natural oil from bergamot orchards in Calabria, Italy. The homegrown leaves are blended with the best Assam and subtly infused with bergamot oil. 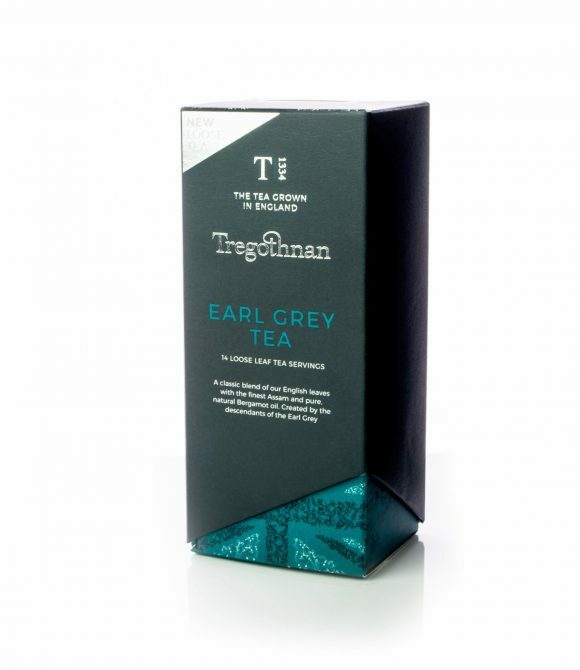 This luxurious Earl Grey is made famous by Tregothnan’s family connection to Sir Charles Grey, the pioneer of this fine English brew. But is Earl Grey Tea good for you? Each box contains 14 individually sealed Earl Grey tea pouches for ultra freshness, meaning your last serving of tea will be as fresh as your first! Tregothnan have measured the perfect quantity of loose leaf Earl Grey tea and sealed in the bright, citrussy bergamot flavour into airtight foil pouches. Easy to brew, just open the pouch and pour the contents into your tea pot or infuser.